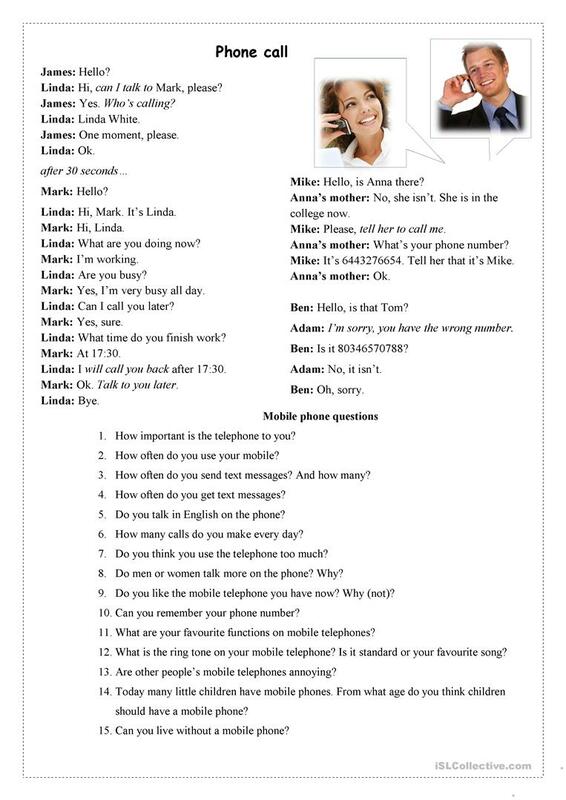 Practice reading short dialogues of talking on the phone then ask students to make similar dialogues. After that ask them to answer some questions about phones and talking on the phone. This downloadable worksheet was created for high school students and adults at Beginner (pre-A1), Elementary (A1) and Pre-intermediate (A2) level. It is useful for working on your students' Speaking skills. It is about the topic and words of Phoning.